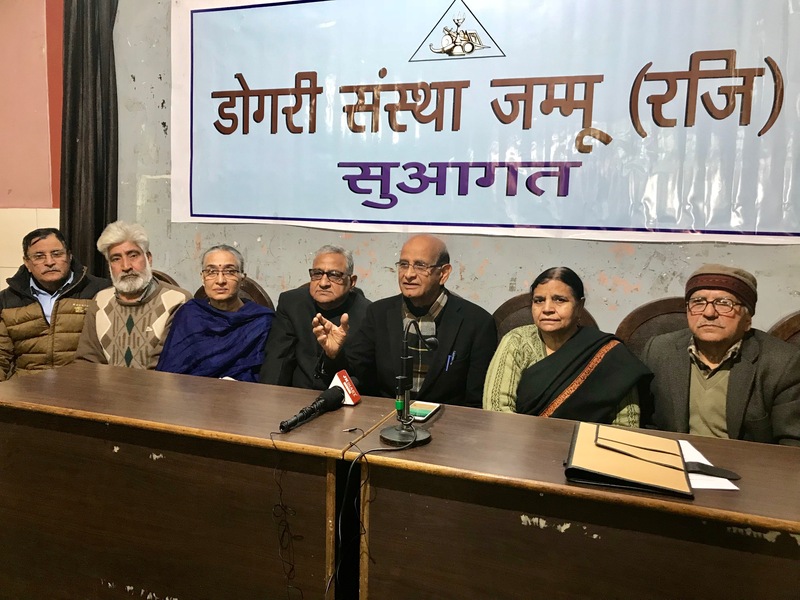 In a press conference, the office bearers of Dogri Sanstha, Jammu conveyed that the Sanstha is completing 75 years of its existence in the year 2019. In this connection, the Sanstha is going to celebrate the year 2019 as Platinum Jubilee Year. A series of programmes have been scheduled to be held throughout the next year, which include: a seminar, exclusively on the formation, history and achievements of Dogri Sanstha, felicitation of outstanding Dogri writers and contributors, organising special music programs/folk music programs, organizing poetry and short story workshops, organizing mushairas/ kavi-goshthies outside Jammu, commemorative tributes to no more writers, workshop on Dogri spellings and standard forms of Dogri, publication of Platinum Jubilee Memorial Volume etc. President of Dogri Sanstha, Prof. Lalit Magora said that the Dogri language, today is at a critical juncture and one of the most important steps for its survival is to teach Dogri at Primary level in schools. In spite of having issued orders to this effect, the State Government is dragging its feet in this matter and is not implementing its own decision. 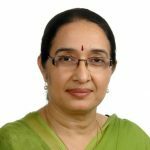 Prof. Magotra said that the main focus of the Sanstha, in this year, will be to launch a movement to compel the Government to teach Dogri at Primary and Middle levels of school education. For this, Sanstha will seek help of general public, all political parties and other social & cultural organizations. He said that we propose that all literary and cultural organizations, working for Dogri, should come together and work in unison for this purpose. By a concerted and focussed efforts, we will surely achieve our purpose, he said. The office bearers of the Sanstha, narrated that how Dogri Sanstha had come in being in the year 1944 under very adverse circumstances—when there were hardly any Dogri books to name & when no writer was interested to write in Dogri. At that time, nobody seriously believed that literature can be created in Dogri. However, a bunch of enthusiastic young writers laid the foundation of Dogri Sanstha, which soon metamorphized in a unique literary movement, which resulted in unprecedented growth of Dogri literature and instilled a sense of pride among all Dogras for their culture. The phenomenal achievements of this movement set an example for others to follow. It is the ultimate result of this movement that today there are thousands of Dogri books, covering almost all genres of literature. Dogri is taught at School, College and University levels, it is recognized by Sahitya Akademi, New Delhi, is included in the 8th Schedule of Indian Constitution etc. etc. The office bearers said that today one of the major obstacles in the way of Dogri is that/the apathy & non-responsiveness of the Government in fulfilling its obligation to promote this major language of the State. They cited many examples in this regard and appealed to all sections of the society to join them in their struggle. Those who addressed the Press conference included Prof. Lalit Magotra, Gianeshwar, Prof. Veena Gupta, Prof. Shashi Pathania, Dr. Nirmal Vinod, Dr. Chanchal Bhasin, Smt. Vijaya Thakur, Madan Padha and Susheel Begana.